Source: According to Sookman. Consistent top sites since 2009. Hall, E., Taylor, S., Zapalski, C., & Hall, T. (2009). Sustainability in education: Green in the facilities, but not in the classrooms. Proceedings of the Society for Advancement of Management, USA. Fleming-Farrell, L., Hall, E., & Blando, J. (2014, Spring). Implementation of new TQM programs, communications, and adapting to change. In C. A. Lentz (Ed. ), The refractive thinker: Vol. 8: Effective business practices for motivation and communication (pp. 159-181). Las Vegas, NV: The Refractive Thinker© Press. Common to virtually all of the clients of Strategic Business Planning Company (www.SBPlan.com) is that they have had a new and innovative concept that they wanted to launch in the form of a new business or a new line of business. Occasionally there has been “another” retail store of service business, but often even those businesses had a novel twist, e.g., the old way of doing things but with Internet or application server advancements. Even if the client did not already have intellectual property protection, it was a vital part of the strategic planning process to assure that they had (at least planned for) patenting, copyrights, branding (company name, Internet domain names, trademarks, etc.) during the development of a business plan. In fact, if patent protection were an integral part of the business plan, the entire business plan had to be reorganized to accommodate the multiple possible methods of commercializing the technology both in the product/service produced and in technology transfer (licensing) to other market segments. This Intellectual Property Business Plan (or IP Business Plan) becomes the framework for valuing patent-based technologies where at least one market was serviced by the company directly and other segments were licensed out, thus demonstrating the effort to bring the productized technology to market while presenting the case for potential profitability from all likely commercialization methods. Perpetual Innovation™ describes the strategic planning process necessary for managers and inventors to bringing protected technologies to market. The Hall-Hinkelman book outlines the ways to organize for innovation and how best to commercialize intellectual property (patents) nationally and internationally. Valuation and decision-making methods are presented for assessing the value of technology at early stages and preparing for the best methods of value realization. Key to market success is being first to market, with a superior product and the best possible intellectual property protection. This book focuses on the business side of patent commercialization, those decisions that involve everyone in the organization, not just the patent attorneys and the scientists. Publications of the company are at Amazon and at LuLu press. Commercialization of patent assets, COMPASS®, is a registered service mark for the company and the COMPASS® process is used by SPC to consult with companies on patent commercialization. Perpetual Innovation™ is the name associated with the series of innovation books. Books and articles on Intellectual Property (IP) are too detailed or to general to be useful for the typical creator, inventor or entrepreneur. Innovators first need a general idea of how and when to utilize intellectual property protection (copyright, trademarks, patents and trade secrets) and how best to utilize these great equalizing tools. The details of IP can be complicated, especially without a clear idea of where to focus. Books on patents tend to avoid specifics on fees and other cost estimates of getting a patent. One reason, of course, is because the fees change, resulting in misinformation. Additionally, there are several different paths for patent protection. People are directed to the US Patent and Trademark Office (www.USPTO.gov) for current processes and fees. The multiple pages of fees and options are confusing. The available information does not help the typical person trying to understand and utilize IP. A simple primer is needed. In 2007, Hall and Hinkelman wrote Perpetual Innovation™: A Guide to Strategic Planning, Patent Commercialization and Enduring Competitive Advantage for companies to create the best environment for innovation. The Guide creates a sound planning process with the best use of patent protection to gain a sustainable competitive advantage. Inventors and small companies can learn much from the book, but it will be most valuable to organizations of a hundred employees or larger which have many products – and patents – to manage. This Guide presents to the basics of SBP’s Commercialization of Patent Assets (IP COMPASS®) methodology for patent commercialization. The COMPASS® process helps tech companies need to move to a business-focused, IP-centric business model where they can expect to be perpetually innovative with an enduring competitive advantage. The Guide did not originally describe the basics of patents and patent filing, so we added a basic Patent Primer (1.0 version) as Appendix B to the book. 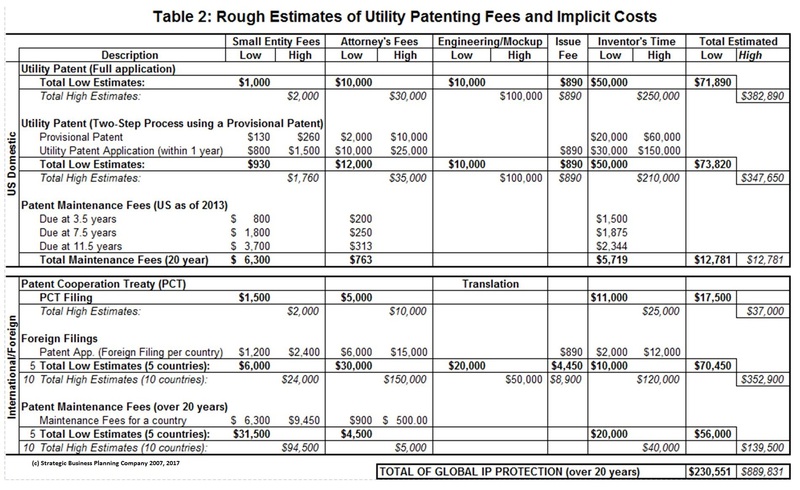 The patent laws changed dramatically in 2012 and fees increased. Look for the new versions of the Guide. The Patent Primer is now a stand-a-lone booklet. · Business Plan to plan out an entire business, strategy through implementation. Great for management planning. Often developed to raise funding from loans or equity investors. · IP Business Plan for businesses that that are patent or invention based (see IP Plan). · Strategic Plan (StratPlan) is a high-level plans for larger organizations that is followed by detailed division (LOB) plans, as well as, an IP Plan &/or a SISPlan. · Divisional or Line-of-Business Plans (LOBPlans) are business plans for specific markets or divisions of an organization. · Strategic Information Systems Plan (SISPlan) is a specialized IT division plan that focuses on all aspects of the organization’s information technology. · Scenario Plan is a strategic planning tool that is added to the regular planning process to anticipate – and plan for – extraordinary or pending industry events: political, economic or technical. · Sustainability Plan integrates triple-bottom-line (social, environment, and economic) into a plan to meet the requirements of a low carbon economy where social responsibility and carbon footprint are critical metrics plus profitability (real long-term profitability, not artificial measures). · Intellectual Property Commercialization Plan (IP Plan) integrates all aspects of the product pipeline – R&D, patenting, marketing and licensing – to provide the strongest possible plan for enduring competitive advantage.